Speaking of the impact of this decision on the housing market in New York, Danielle Hale, Chief Economist at Realtor.com said, “Housing prices in Queens have not seen the increases that Arlington County, Virginia, has experienced since Amazon announced its decision to split its second headquarters between the two areas in November." The median asking price in Queens is up by 8.3 percent year over year at $585,000 but relatively flat since November. This compares to $757,000 in Arlington County, which is up 13.4 percent year over year, and 18.2 percent, or $117,000, since November. “Half of all homes in Queens are selling in under 82 days. The typical home for sale in the more affordable neighboring borough of the Bronx is priced at $403,000, up 15.0 percent year over year. In contrast, the typical home for sale in pricier neighboring borough Brooklyn (Kings County) is priced at $849,000, down 2.8 percent year over year. The discrepancy in price growth is likely due to the higher housing costs and relatively more supply in the New York metro area, along with burdensome state taxes." While polls revealed that 70 percent of New Yorkers supported their plans and investment, a number of state and local politicians were opposed to Amazon establishing a presence in Long Island City. “Some Queens residents have pushed back on the entry of Amazon, citing higher housing costs, among other concerns. Currently, the median income in Queens is $67,700. A household at this income level can reasonably afford less than 12 percent of the homes currently on the market in Queens,” Hale said. Analyzing the affordability issue in Queens and Arlington markets, she indicated that in order to afford half of the homes on the market, a buyer would have to be earning in the 85th percentile of all Queens households—reflective of the fact that 85 percent of Queens households currently cannot reasonably afford to buy a home there and helps explain the area’s lower than average homeownership rate. Realtor.com’s 2019 forecast (prior to HQ2 announcement) projected the New York metro area to grow by 3.0 percent. Based on housing data around previous Amazon expansions, the rate of price growth was expected to double, putting housing further out of reach for locals. According to a PropertyShark report  released in November 2018, there was a noticeable spike in listing views traffic post the announcement of the retail giant’s move to LIC and Arlington. Views on Long Island City listings page increased by 198 percent in November 2018, almost triple the views after the announcement. On account of easy access to “Amazon Island City” and a heightened increase in homes in surrounding areas, the property prices were expected to accelerate in LIC. Long before Amazon’s descent on LIC, the neighborhood experienced a surge in interest as well as home prices, with a median home price saw an increase of 35 percent in the last five years. 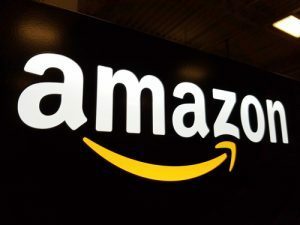 While there is no talk of HQ2 search at this time, Amazon will proceed as planned in Northern Virginia and Nashville and will focus on hiring and growth across its 17 corporate offices and tech hubs in the U.S. and Canada.